Biology is an important subject in every class, it doesn’t have to be a burden for one while studying. At some point or another, every student has to study biology. For some students, biology is a tough subject but for some, it is not the same case. Biology cannot be mastered in a fortnight and learning it is a cumulative process i.e. before one can understand more complex biological processes and concepts, it is essential to understand the basics first. Here, in this article, we will discuss some important tips and tricks to study biology in a more efficient way. Try to develop an interest towards biology: Biology can be a difficult subject but it is also a very interesting subject if you take a step back and think what are you studying. Biology is a subject that teaches us about yourself, like how our body is moving from one place to another, how the food is getting digested, the complex structure of DNA and a lot more. Break the complex words: There are some words in biology which are complex to spell as well as difficult to understand and to memorize. If you know the prefixes and the suffixes of the words, it will help you to understand and remember those complex words very easily. Use Flashcards: Flashcards are one of the best ways to learn the meanings of new words. One can carry those cards along with themselves and can study using those words at any time. You can also paste those cards near your study areas so that you can go through them whenever you feel bored or want to change your mind. Draw Labelled Diagrams: Sketching a diagram of the biological processes rather than just reading about it is an easy way to learn about that processes. If you understand it, you can write and draw the entire processes and label all of the important parts in the examination easily. Biological process likes human digestive system can be easily understood if you know the diagram of that process. 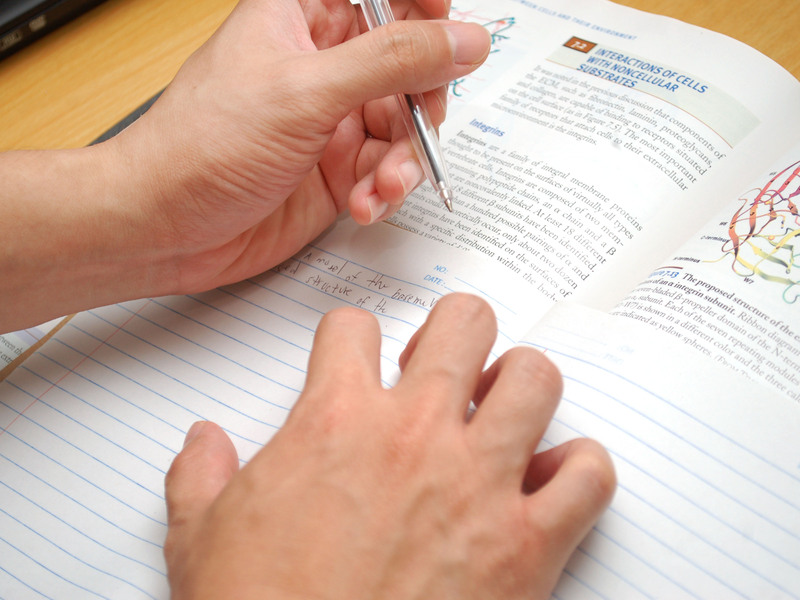 Study before going to the class: Biology is not a subject which can be grasped within a short period of time. Reading the material just before the class will help you to understand the concepts faster as compared to the students who are reading it for the first time. First, split up syllabus to know which chapter will be taught on which day. Make notes while reading the chapter in homes and come to school with some questions in hand. Answer the questions given at the end of each chapter: Most of the biology textbooks have questions at the end of each chapter. Solving those question will help you to understand the chapter in a better way. Also, go through your class notes every day for a better understanding of the topics that were taught in class. In case you don’t understand the topic, ask your teacher on the next day.